Welcome to the most “French” looking town on the Baja Peninsula! 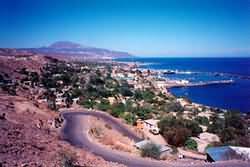 Santa Rosalia, a growing town of approximately 15,000 people located at Km. 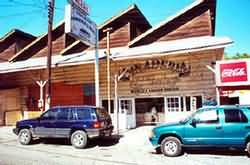 196 on the Baja Highway(approximately 600 miles south of the US border), looks more like a wild-west mining town than a seaside Baja village...and for a good reason. In 1868 Jose Rosa Villavicencio discovered copper in this desolate Baja outpost. Mining began with the Germans and then followed by the French. 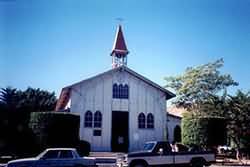 Soon after, Santa Rosalia became known as the “La Ciudad De Madera” or the Wooden City.” This association began in 1885 when a French mining company, El Boleo, acquired a 99-year right to excavate deposits of copper. They also had the rights to over one million nearby acres. In exchange, to appease the Mexican government, El Boleo agreed to build a town, port, and public buildings here. Of course, they also had to create employment for the Mexican workers. The French company built wooden houses to create the town, as per an agreement with the Mexican government. Sailing ships transported the copper to Europe via Cape Horn, and the harbor at Santa Rosalia was a very busy place for many decades. In the 1920’s major mining operations stopped, although there were still a few smaller operations working the mines. Eventually over 375 miles of tunnels had been dug in the hills around the area. The mining companies are now gone. Santa Rosalia supports itself with gypsum and manganese production, tourism and marine activities. Today the grid-pattern streets and wood buildings still have that mining town flavor, including the large black locomotive located at the entrance to the town. The cast iron church designed by Alexandre Gustave Eiffel (yep, same guy) is still in use. The town is clean and the locals are friendly. The cultural mix of people walking the streets is evidence of the ethnic heritage of the city’s past. The town dresses up from October 10 - 22 each year to celebrate its founding with sports and cultural events. 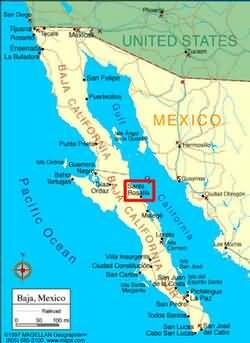 Santa Rosalia’s harbor is now used as a ferry port, taking locals and Baja travellers to Guaymas on Mexico’s mainland. For a truly distinct Baja destination Santa Rosalia is numero uno!